India achieved 20 GW of solar installation mark in the last year, which was the earlier target set to be achieved by 2022. 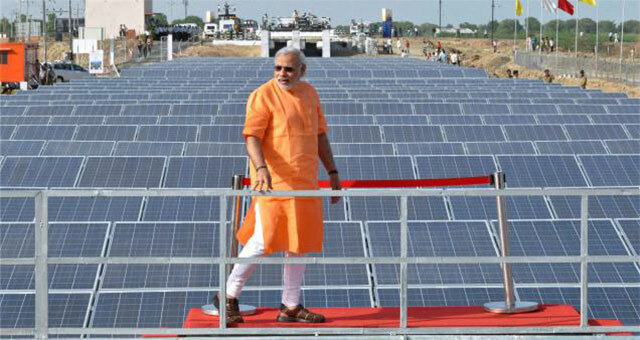 The country now aspires to install 100 GW of solar power by 2022. More than 7.2 GW of solar capacity was added in 2017-18 (till February 2018). About 92% of the capacity addition came from utility-scale solar projects, while the remaining 8% was from rooftop solar. There is still a huge gap between utility-scale and rooftop solar installations in the country. The government is also undertaking various schemes to support solar installations all over the country. Various incentive schemes, aggressive bidding trajectory, implementation of Solar Park, Solar Roof Top Scheme, Solar Defence Scheme etc. and many other schemes have been laid down to support the government’s aggressive solar numbers. You can read about them in detail here. As prices of solar decline, the technology becomes more and more attractive not only from a regulatory or environmental perspective but also economically. Investors are looking at solar installations to earn profits in the long term. Few states such as Telangana, Karnataka, Andhra Pradesh and Rajasthan led the solar installation numbers last year (2017). About 80% of the installations were done by the states of Karnataka, Andhra Pradesh, Tamil Nadu, Telangana, Rajasthan, Madhya Pradesh and Punjab. Gujarat which was once the top state for solar installations, way back in 2012-13, has slowed down in recent years. Andhra Pradesh is also steadily moving ahead in the solar race. Its 1000 MW Kurnool Solar Park has emerged as the world’s largest solar park. Karnataka, Rajasthan, Andhra Pradesh, Tamil Nadu and Gujarat are the leading solar states in India with total solar installed capacity as seen in the table below. The top five states by cumulative installed capacity in 2016-17 were Tamil Nadu, Rajasthan, Gujarat, Telangana and Andhra Pradesh. You can further compare with State solar rankings in 2015-16. The top five states then were Rajasthan, Gujarat, Madhya Pradesh, Tamil Nadu and Maharashtra.